Shoulder balance is one of the key components to the body deformity in adolescent idiopathic scoliosis (AIS) patients with double thoracic curve and shoulder cosmesis plays an important role in patients’ satisfaction of surgical outcomes. Up to now, only radiographic parameters were used to evaluate the shoulder balance in literatures; no corresponding cosmetic parameters have been developed to evaluate the cosmetic shoulder balance. Meanwhile, we often confronted that perfect radiographic shoulder balance was achieved, but the patients complained about the residual cosmetic deformity. This phenomenon implied that discrepancy may exist between radiographic shoulder balance and cosmetic shoulder balance. 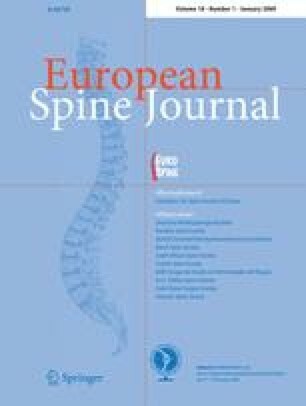 The present study was carried out to investigate the correlation between radiographic and clinical cosmetic shoulder balance in AIS patients with double thoracic curve. Thirty-four AIS patients were recruited for this study. All the patients had a double thoracic curve. Six cosmetic parameters––inner shoulder height (SHi), outer shoulder height (SHo), shoulder area index 1 (SAI1), shoulder area index 2 (SAI2), shoulder angle (α1) and axilla angle (α2) were developed and measured on the standing photographs. Also, seven radiographic parameters––T1 tilting (T1), first rib angle (FRA), clavicle angle (CA), coracoid process height (CPH), clavicle-rib cage intersection (CRCI), first rib–clavicle height (FRCH), trapezius length (TL) were measured on the standing posterior–anterior radiographs. Correlation analysis was made between cosmetic parameters and radiographic parameters. SHi was found to be significantly correlated with T1, FRA, CA, CPH, CRCI (P < 0.05), among which FRA had the highest correlation coefficient. SHo was found to be significantly correlated with T1, FRA, CA, CPH, CRCI, FRCH (P < 0.05), among which CRCI had the highest correlation coefficient. However, none of the correlation coefficient was greater than 0.8. The correlation coefficients between radiographic parameters and SAI1, SAI2, α1, α2 were also below 0.8 that were similar with SH. The results indicated that radiographic parameters could only partially reflect the shoulder cosmetic appearances. However, none of the existing parameters can accurately reflect the shoulder cosmetic appearance. As cosmesis is critical important to patients’ satisfaction, spine surgeons should pay more attention to the cosmetic shoulder balance rather than radiographic shoulder balance. This work was supported by National Natural Science Foundation (30672131), China.